Last month, First Federal bank, headquartered in Port Angeles, WA, held a business plan writing workshop at their Downtown Business Solutions Center. It’s their first in a series of small business seminars. This is just one example of many in a trend of credit unions and regional banks turning their attention towards their local communities. Community outreach has proven to be an effective tool to boost a credit union or bank’s local profile. It stands in stark contrast to the traditional role of branches as a means to deliver account services. Providing classes in community spaces, supporting local arts groups, and assisting local businesses are just a few tactics that exemplify these financial institutions’ commitment to the local community, and help them stand out in a competitive market. Seattle’s Verity Credit Union supports the arts by integrating the hip neighborhood of Ballard in to their branch. Local art in glass displays are the focal point of the branch entry. A mural stretches the length of the retail space, and in the evening it glows through the mostly glass exterior. This vibrant pop is a perfect fit with the neighborhood’s outgoing and energetic attitude. Verity’s connection with the arts reaches outside the branch itself through hiring local musicians to play “pop-up concerts” in local parks. These performances support the local arts scene and make the local community spaces more active and fun. Financial institutions are also connecting with people in their communities through education. 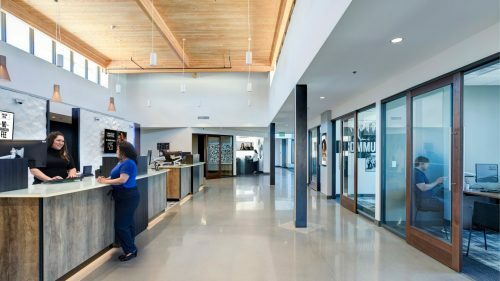 Portland’s Umpqua bank has a unique offering that generates lots of buzz – they hold yoga classes right in the branch! Personal finance and money management are also popular classes, and they are a very effective way to transform an organization’s mission from just taking care of money to making an investment in people’s financial wellbeing. Small businesses are a major part of the local economy. 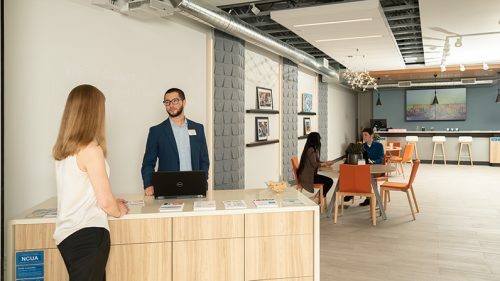 A number of credit unions and banks are designing their branches to support and nurture the startup and entrepreneur community. 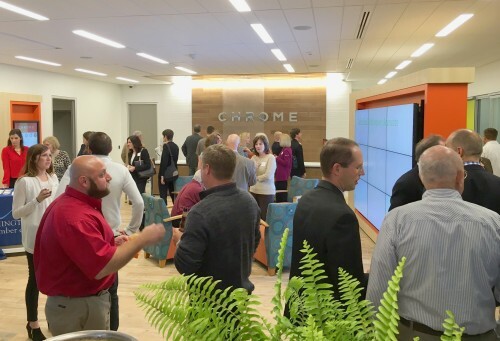 CHROME, a credit union out of Pittsburgh, has a small business incubator and meeting spaces at their flagship branch. Members and non-members alike are invited to hold informal meetings and give presentations, interactions that were often taking place in noisy or crowded coffee shops. Giving small businesses breathing room and a professional environment helps them get a toehold in a market without having to invest in expensive facilities. 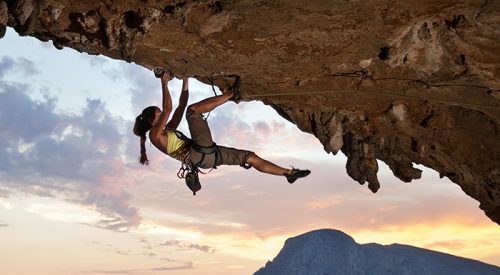 It’s a favor that is often repaid in the form of business and personal banking accounts. Local investment and outreach has a noticeable effect on the reputation of organizations. All too often people see banks as outsiders, managing their money from afar rather than investing in them. By giving back and participating in local events, credit unions and community banks earn the respect of local communities and business leaders. This helps shift the perceived role of a financial institution from that of a mere product provider to a trusted partner, one that adds value to the neighborhood through a shared stake in the community’s economic success. It’s with these community and economic partners that many consumers choose to take their business.